Select Medical was born out of an idea to make things better for those who rely upon the optimum performance of a pressure relief support surface and those involved in delivering the best care package possible. A company with the thought that one day our products and services could touch the lives of many people and create a better everyday life. A determined team, hard work and dedication has brought us to where we stand today – a respected and leading manufacturer of clinically effective pressure area care products. From the outset, pressure area care has been at the core of our business. It is something we specialise in and as a specialist, we aim to do this really well. Our journey in pressure care has seen us produce pressure relieving support surfaces to some well respected healthcare companies under their own brands. Today this customer group is still a key element to our continued success and we are admired for our transparent dual-track approach. Under our own brands we move forward ‘step by step’, and our continual growth has enabled us to develop a complete collection of support surface brands to suit different customer needs. Investment will continue into the future to propel the organisation towards further success. The launch of our rebrand, during 2015, was another step forward in the history of the company and brings with it a new structure and management team. We are deeply committed to supporting the success and development of our people and are extremely proud of their achievements. A thriving research and product development programme ensures our pressure relieving mattress and seating systems continue to meet our customers’ expectations, across all care establishments. Our products and services progress with the aim of achieving quality at affordable prices for all our customers. 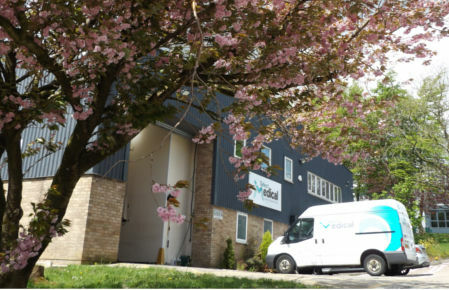 Our supply chain has always been, and remains, very important to us and we have built long-term supplier relationships to ensure we continue producing quality pressure relieving mattress systems, long into the future. Although experts in the field of pressure care, our vision also goes beyond this. We want to create a better everyday for all people across changing care environments. 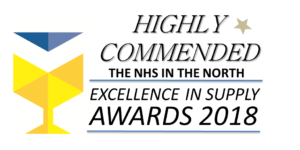 That’s why we successfully partner with a select few of the UK’s leading healthcare equipment companies who recognise us for our promise of excellence and value. To learn more about our range have a look at our Pure Air, Simpulse and OLA products.